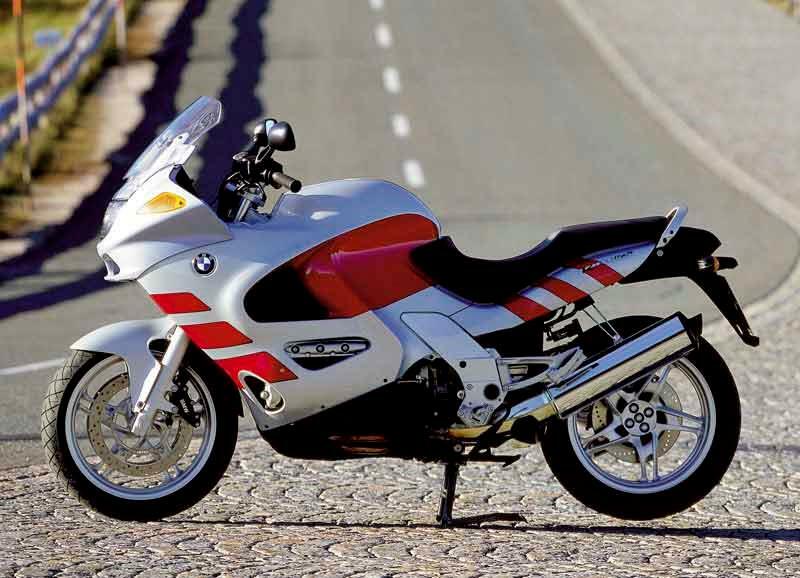 The BMW K1200RS is almost an ultra-sports tourer but lacking a few bhp and a carrying too much weight. 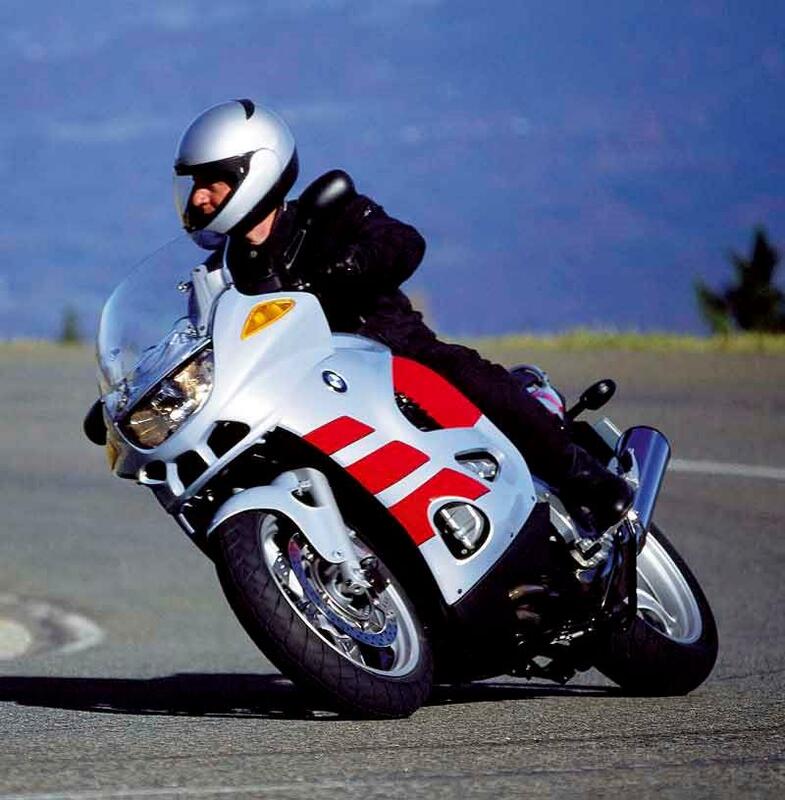 The K1200RS carved its own niche as a superb high-speed distance bike that could carry a pillion and luggage too without breaking a sweat. Radical Telelever front suspension’s no longer novel but still works and build quality remains a strong point so big mileages are very possible. Weighing so much this motorcycle was never going to be nimble and the BMW K1200RS isn’t. The upside, though, is that stability is superb even with 160mph on the clock. The suspension’s a bit bouncy but you can tune it out. Adding a passenger and luggage doesn’t upset the bike at all. Brakes work ok and ABS is a bonus. Loads of torque and plenty of power from the BMW K1200RS's flat four. Unfortunately Japanese competition like Honda’s BlackBird make 30-odd bhp more and the K1200RS seems slow by comparison. Low down torque is plentiful, acing the BlackBird, although the RS’s weight negates some of it. Gearbox somewhat reluctant. 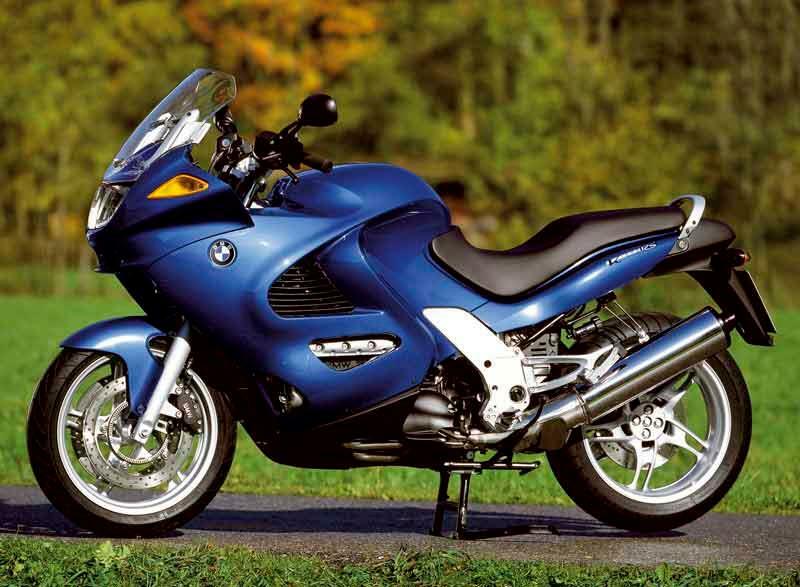 Like so many BMWs the K1200RS is a quality motorcycle with a few minor glitches. Electrics and small areas of corrosion are the most common complaints. Fortunately the excellent dealer network know how to avoid or cure these. The K1200RS also seems to resist winter better than most machines. 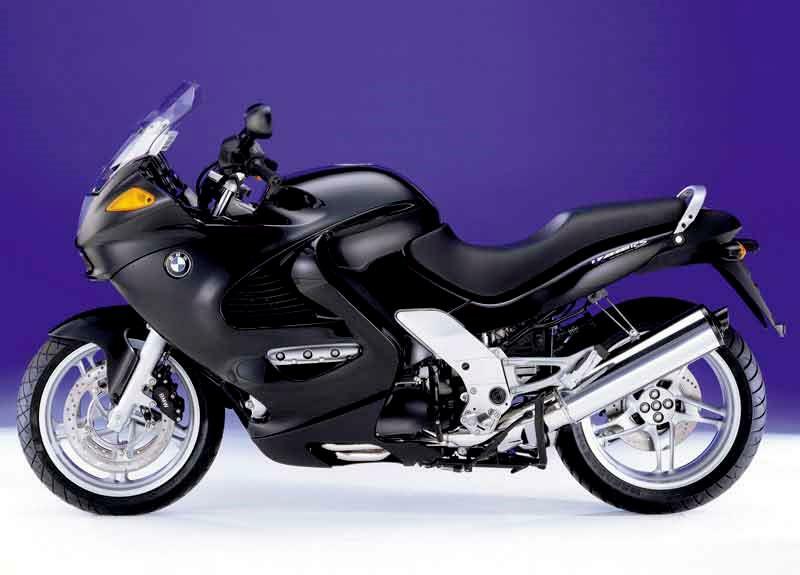 The BMW K1200RS is now only available used and at last, prices have dropped to a reasonable level, even at main dealers. Still do your research and don’t pay OTT prices no matter how clean / low mileage a motorcycle is. 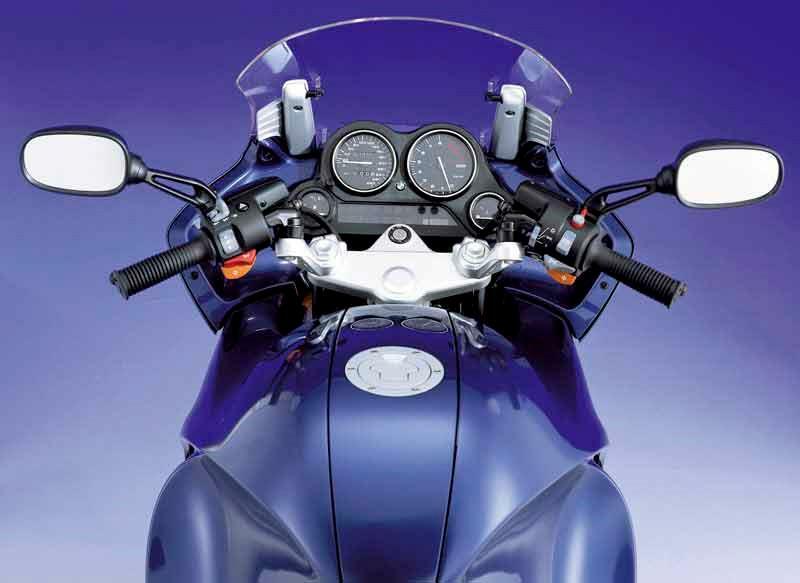 There are cheaper, faster machines, including the Blackbird but the K1200RS beats it on quality and distance-ability. 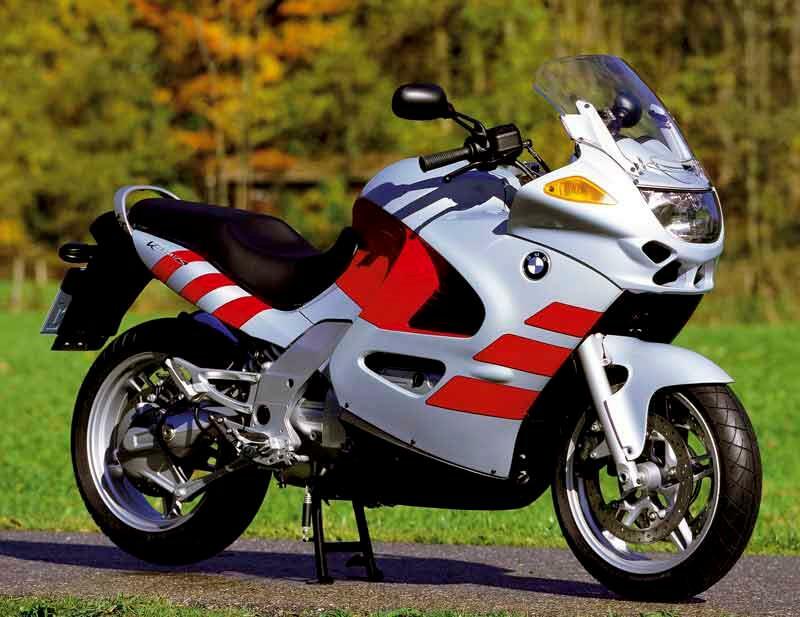 Find a BMW K1200RS for sale. 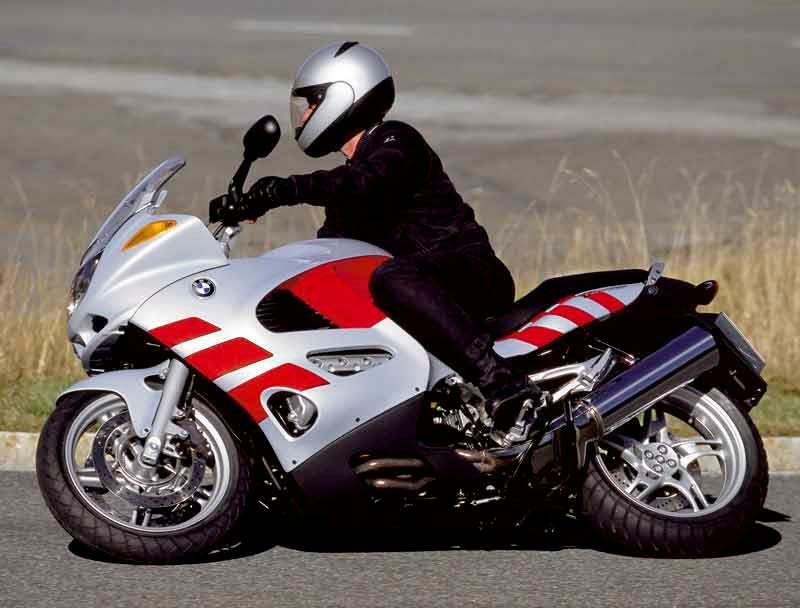 The BMW K1200RS delivers long range comfort to match many full tourers. The riding position’s adjustable and the ergonomics well thought out and if you spend all day in the saddle this pays off. High level of equipment. 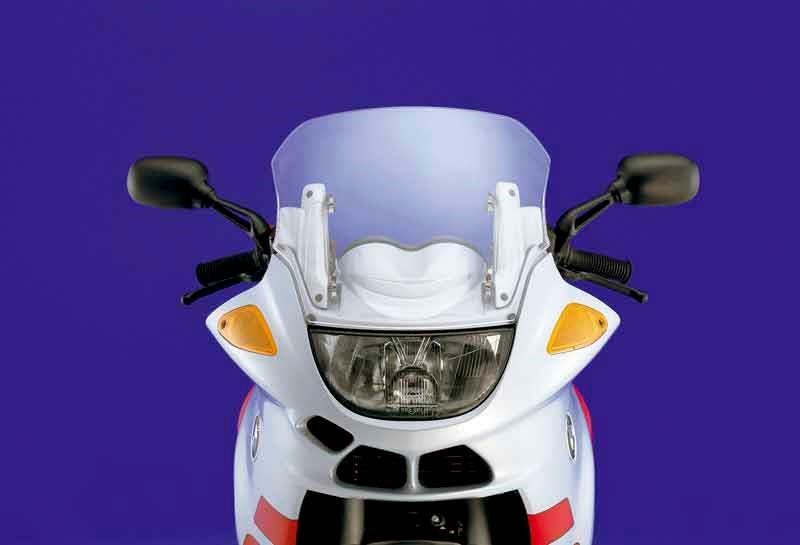 Mirrors mounted on the bars look like an afterthought – surely they were meant to be in the indicator pods? At least they work well. 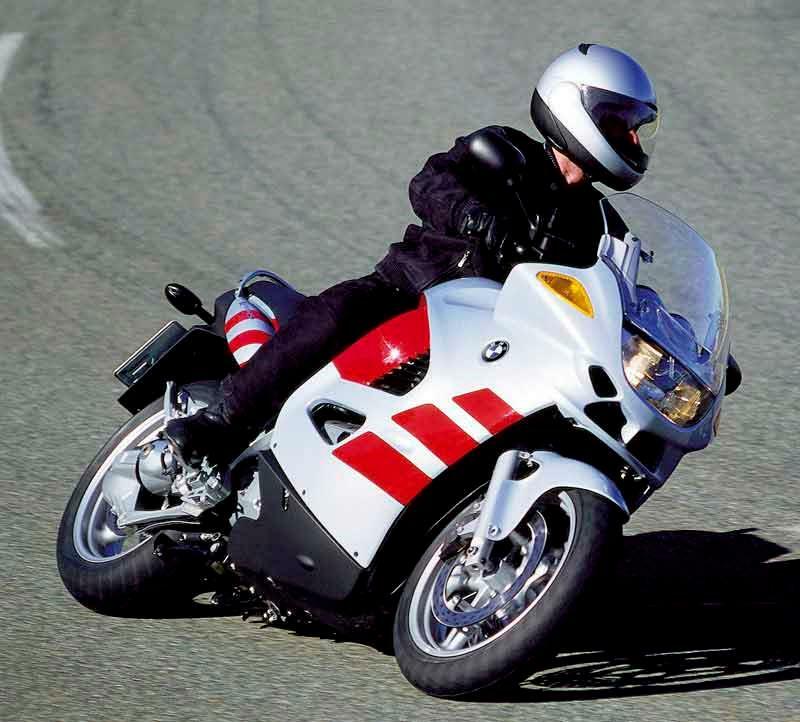 1999: Non-ABS BMW K1200RS launched. 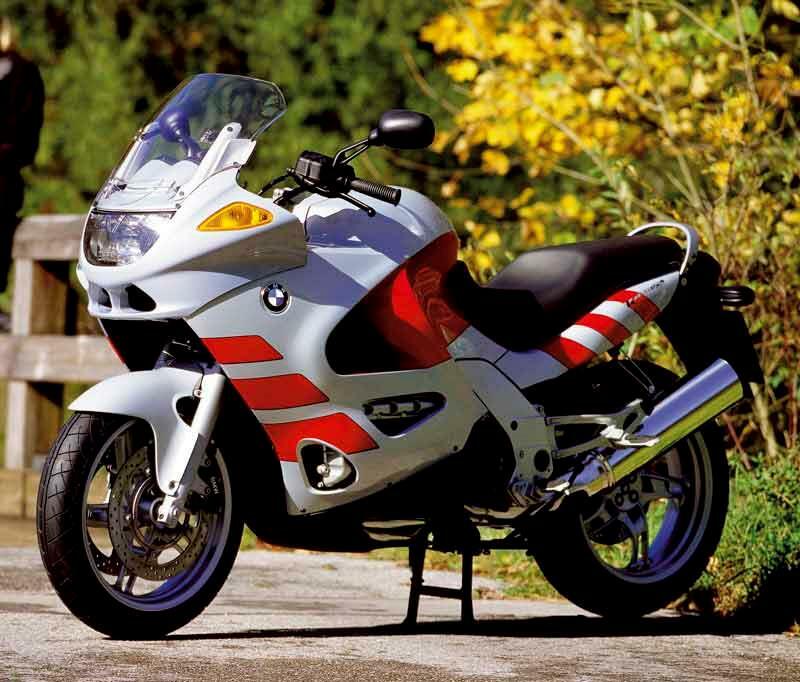 BMW K1200RS Non-ABS: version available from November 1998. 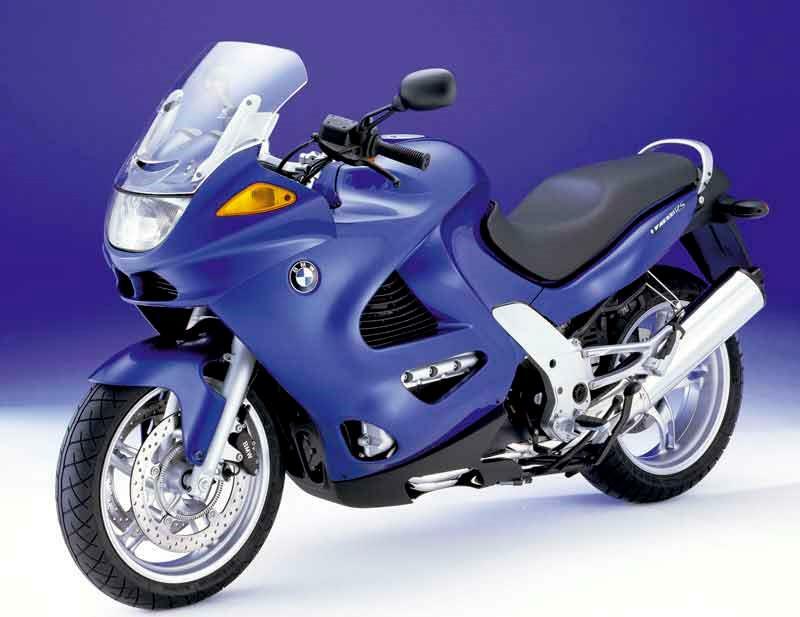 BMW K1200RS ABS: when the non-ABS version was introduced this was the name for the regular ABS equipped motorcycle. BMW K1200RS SE: Special Equipment model with ABS, luggage rack, heated grips and cruise control. 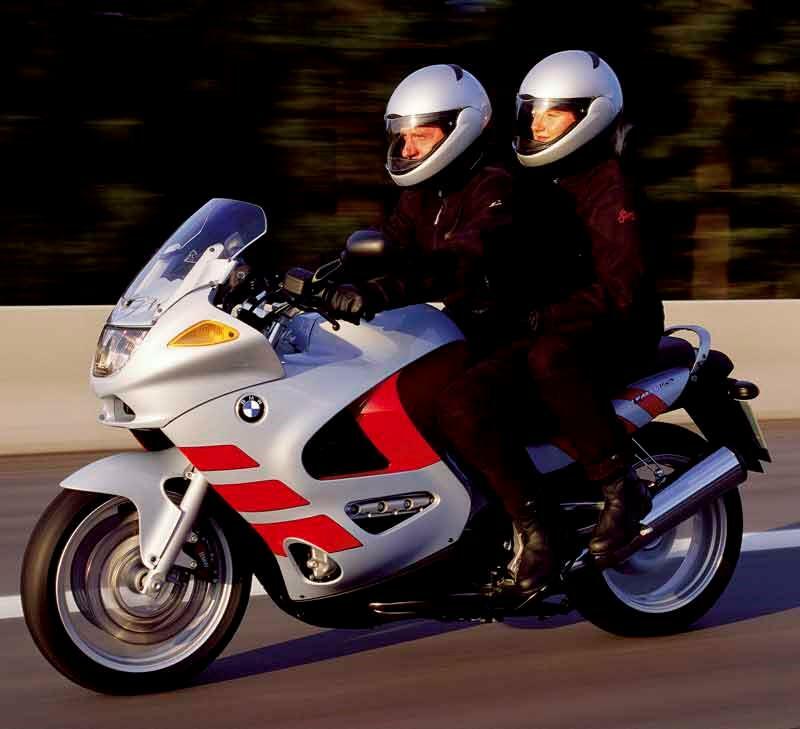 11 owners have reviewed their BMW K1200RS (1997-2005) and rated it in a number of areas. Read what they have to say and what they like and dislike about the bike below. The best thing about this bike is the smooth torque-rich engine. Once above 25mph one can stay in sixth gear and take it easy; if you wish to accelerate faster then drop a cog, or two, and it will be off quicker than a council worker on a Friday afternoon. The worst feature would be the weight. True, the mass disappears when rolling and the machine is nicely-balanced, making slow manoeuvres simple, but moving it around in the garage, or parking spaces, is not easy. ABS is nice, but avoid the later servo-assisted models which are trouble. Ride is supple and it is nice to brake hard without dive from the front suspension. Rubber mounts make is super smooth and it is so easy to ride with great torque at all revs. This was probably the last BMW to be built to a standard and not down to a price. It shows with things like adjustable handlebars, footrests, brake & clutch levers, and seat height. Paint finish is still good after many years, but there is aluminium corrosion on my bike. You'd expect that though as it has been commuted on through many northern winters. Parts are available on ebay, so running costs are low even if a major component fails. I get up to 50mpg, but the weight does not help in this department. Lighting is poor, but a former owner fitted an HID dip beam, so that is now sorted. The horn is too quiet and squeaky, which is odd when you know what super instruments used to be fitted by BMW. I didnt use the K much over the worst of the winter - maybe I'm getting old and soft! But I have managed to add 200 miles of commuting between Oxford and the city and this bike eats it for breakfast. Really comfy at 80 in the traffic -and gets to seriously illegal speeds in an eyeblink without grumbling. A couple of times I've twsited the grip and been caught out as I caught the car in front - good job the brakes are top notch! It's cofy - I have adopted a riding position which includes lying forward almost when manouvering - this is where the bike becomes scary - slow sppeed parking stuff and I confess I have dropped it at almost 0mph on a u-turn. £100 body shop job later and it looks like new but was p*ssed off with myself for trying to be too sharp with a bike that is so heavy. The crazy thing is that as soon as it's moving (and you;re not trying to turn a tight circle) it's superlight! No niggles so far - biggish ride coming up |London to Newcastle and back at a weekend - should test my age again! ...it's beautiful on the eye...someone really though this through - whatever you say about BMW bikes it's not usually that they are beautiful - but this on is a stunner. My K1200RS is my first BMW Motorcycle. Brilliant build quality, exceeds Hondas best by miles. Has everything possible fitted with the exception of a Kitchen Sink. Would be perfect if the engine had the same level of Clout as my 1991 C1 ZZR 1100 or my Blackbird XXY or 2001. The performance doesn't seem to be any greater than a Varadero or a VFR750FN. A very good bike though ! What ever possesed me? I traded in a 1997 k12rs for a 2002 abs VFR800vtec. The Honda goes round corners faster, the ABS is better, and the back doesn't lock up like the BMW, but I never ever felt scared on the BM, it stopped, it went and it scraped the bottom of its pegs on request, and in any gear....not forever up and down the box like the Honda. The most surefooted tractor in christendom. Handles far better than a Pan ST1300 i know ive had two new ones, gearbox is smooth, hunts a bit at tick over but power commander sorts it or remus exhaust. weather protection is good, small amount of bufferting at speed, sensertive to tyre pressures. very stable, point to point crusie missile,not as fast as My Hyabusa but then thats new and so mental. But the bmw is very well built and fun. nice run down to Turkey from Aberdeen & back again though the rain from Italy to UK then the bludy UK roads.... speed really drops then. The thing went ok. But back home the lump seized & the backup support from BMW in Aberdeen was a waste of time !!! I shall be getting a Kwacker GTR1400 & forget BMW. I am still furious with them & the support I did not get from them. By the way where is the complaints site for them ?? or are they too good for that ? !Had an old Kawasaki Z1100 & it is still running , I shall be putting it back on the road & scrapping the beemer before I get the GTR.Really not impressed with BMW. I'm not sure what MCN was thinking when they wrote the review on this engine but it sells this bike way short. For someone lookiing for a sport tourer with serious speed this is the perfect bike. I've ridden both the Ducati ST4s and Honda ST1300s and this is a better bike. 147HP with new pipes and Ohlin suspension means i can take to the twisties with most sport bikes. Second Hand and in good condition, these bikes offer great value for money versus some new rivals.... I've clocked up 10,000 miles in the last year on mine (mainly 2 - up touring) purchased with only 2,500 miles on the clock, and rate it very highly. It is not a 'sports bike' and a tab heavy in the tight tights - but in all other circumstances it is magic - loves sweeping corners, great power, great brakes, good instruments, compliant suspension good economy and a 200 mile range on a tank plus all the luggage we need. I strongly recommend this bike.